← Jimmy, King of Clerkenwell. Photo & text John Londei. 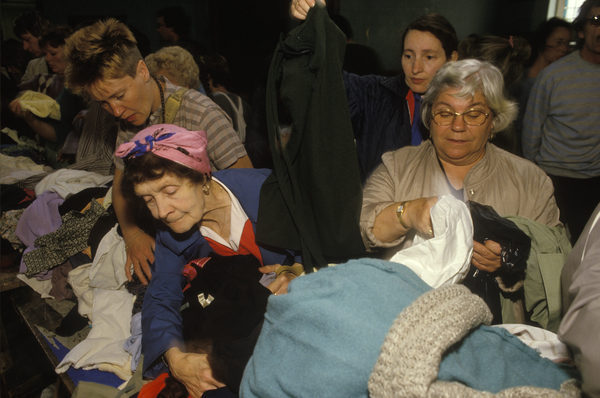 Jumble sale, Dulwich, circa 1980. Photo © Homer Sykes/Photoshelter. A woman sat, in unwomanly rags (Our backs were covered up, more or less, but the other way round was a big success). But what went ye out for to see? A man clothed in soft raiment. Recycled Clothing Sculpture Making Project: My shirts are made from Mum’s old drawers. It depends how many boots he’s got to mend. I brought him home six and a half pairs today.